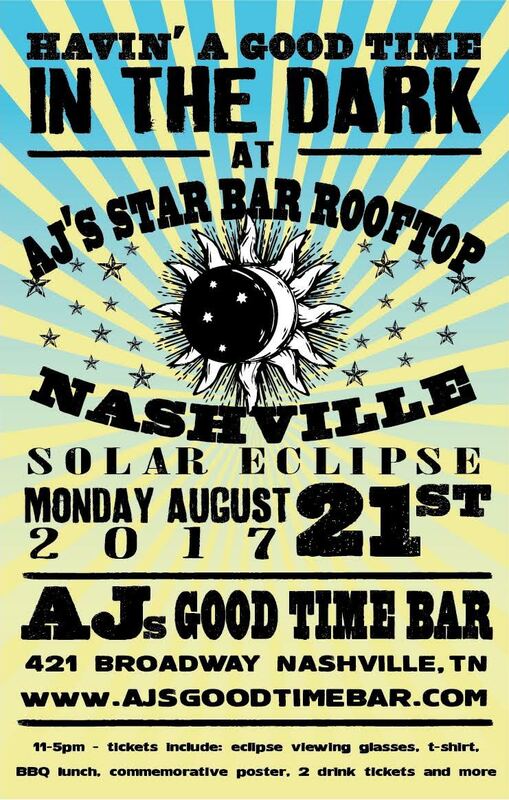 Come join us on our rooftop, AJ's Star Bar, while we watch day turn into night during this once in a lifetime event. Tickets include: eclipse viewing glasses, t-shirt, BBQ lunch, commemorative poster, 2 drink tickets and MORE. Tickets will go fast so get yours today! !